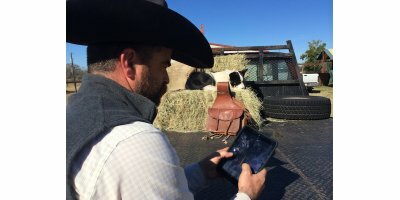 Basic cattle identification and traceability records for the commercial cow-calf rancher. Even if you do not manage your cattle on a weekly or record breeding and measurements, it is still important to keep good inventory records. FarmWizard’s Beef Manager is aimed at beef farmers who are looking for an easy to use but powerful web based solution to maintain herd records and assess herd performance. EasyKeeper is the records management system you need for healthier, better performing goat herd. 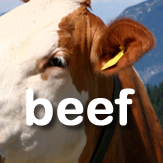 By EasyKeeper Herd Manager, Inc. based in Reno, NEVADA (USA). By Valley Agricultural Software (VAS) based in Tulare, CALIFORNIA (USA). By Sum-It Computer Systems Ltd. based in Oxfordshire, UNITED KINGDOM. Make informed decisions. Powerful reporting lets you customize report formats to see your herd information in the way that works for your operation including: Inventory: Keep up with active and inactive animals. Breeding: Record pasture, ai, and embryo breedings. Calving: Calve cows and re-use information. By Agri Tracking Systems based in Los Angeles, CALIFORNIA (USA). By CattleMax based in TEXAS (USA). 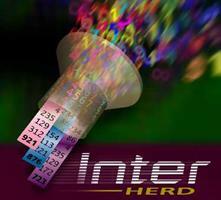 InterHerd is a herd production and health recording system, that combines the features necessary to manage a progressive dairy herd with an adaptable event structure, a flexible reporting system and advanced analysis techniques to make InterHerd a simple-to-use tool for farmers and vets that really packs a punch! By National Milk Records (NMR) based in Chippenham, UNITED KINGDOM. SmartFarms, a cloud based farm and herd management system for animal recording, productivity and peak-yield management, breeding, preventive health care, fodder management and veterinary care, powered by a powerful proactive analytics module. 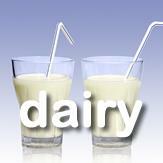 A complete automated solution for dairy farms. By Stellapps based in Bangalore, INDIA. By CattleWorks, LLC. / CritterWorks based in Bristol, VIRGINIA (USA). Modern dairy farming is a complex enterprise. With the trend towards larger herd sizes, there’s a lot of cow data that needs to be recorded quickly and accurately. 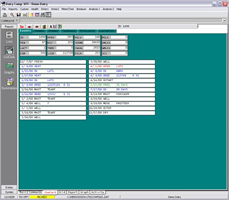 Dairydata is the simple, cost-effective windows program for recording and managing the total milk enterprise. By using individual cow records as the basis for a model of the herd, DAIRYdata generates information for more effective unit management. Included are all the required statutory reports. By Farmdata Ltd based in Aberdeenshire, UNITED KINGDOM.